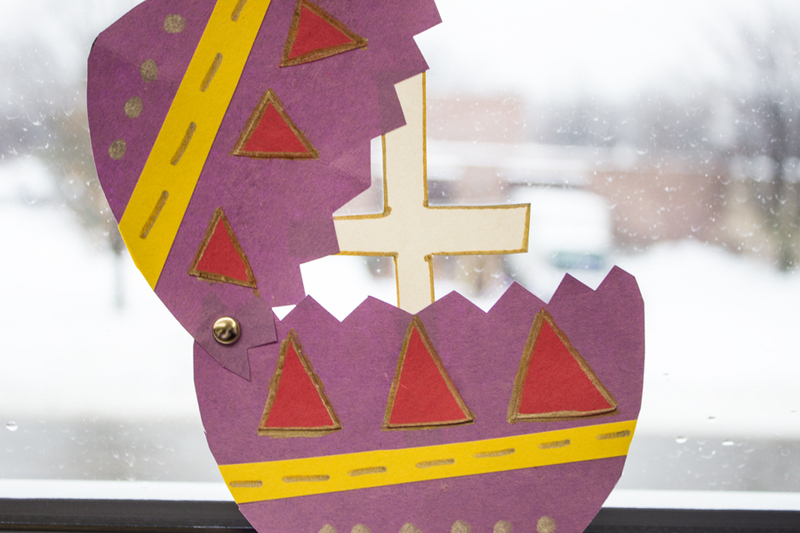 An egg — which looks like nothing more than a smooth stone from the outside but carries the promise of new life within — has long been a symbol of Easter. 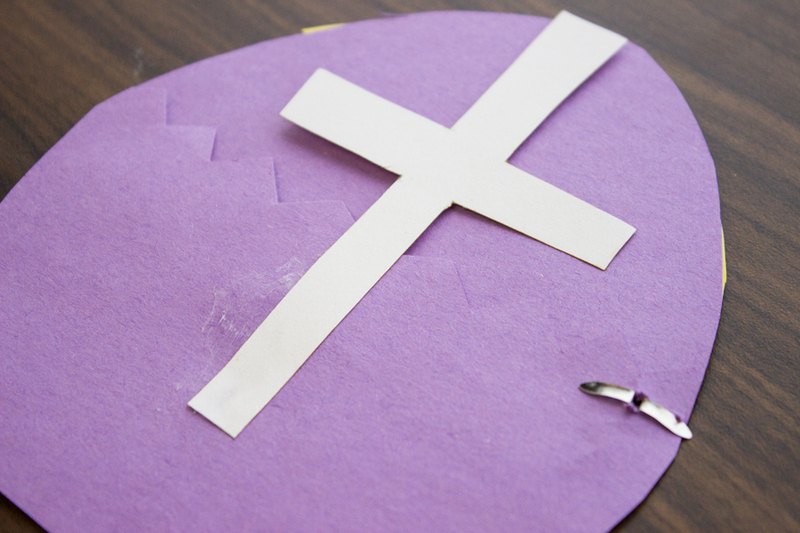 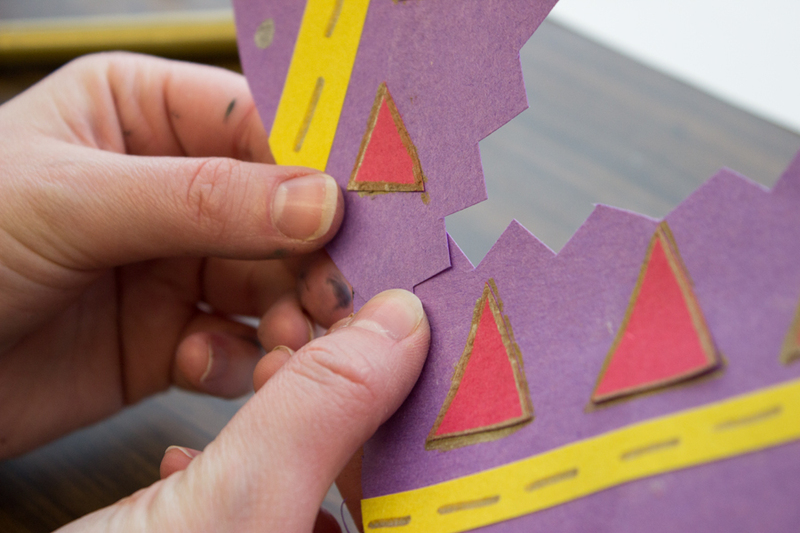 Use this “peek-a-boo” paper craft to discuss with children the meaning of Christ’s death and resurrection. 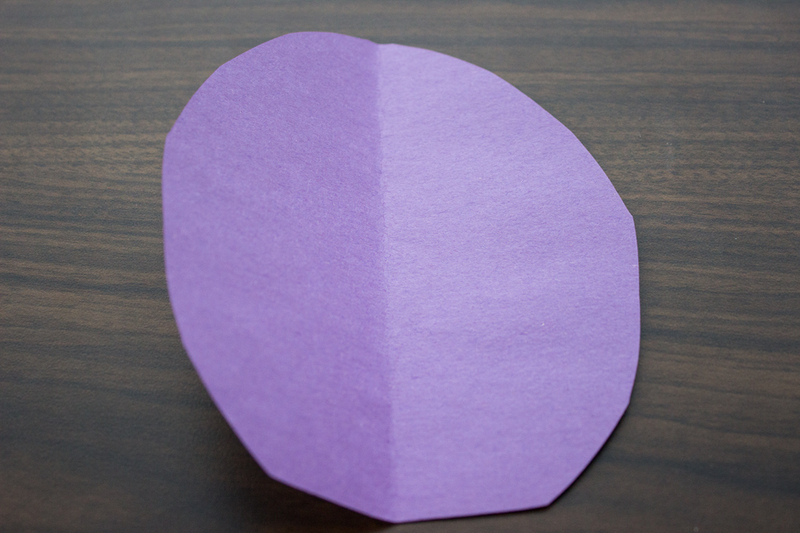 Step 1: Print and cut out egg template (or custom cut an egg shape from construction paper). 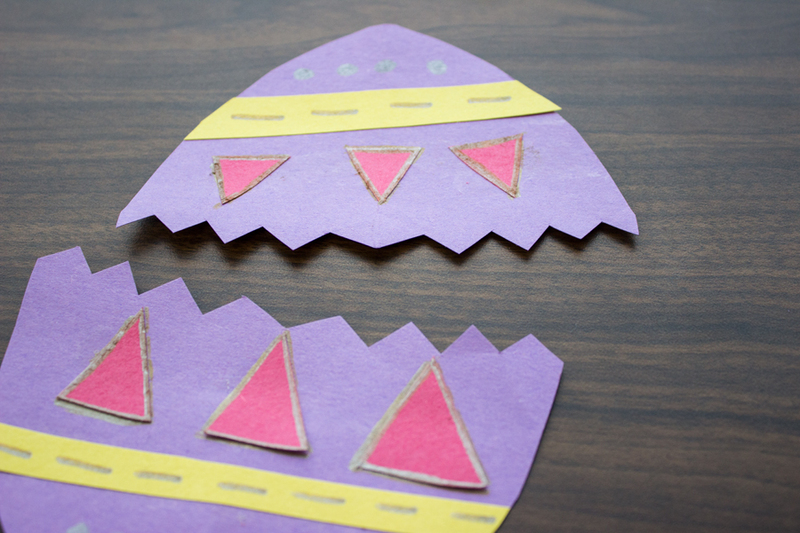 Step 2: Cut the egg shape in half using a zigzag line so it looks like the egg shell has cracked. 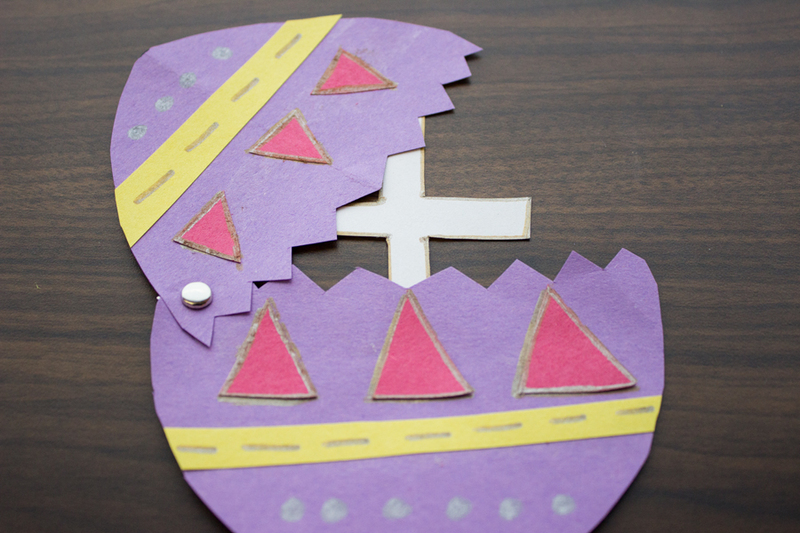 Step 3: Decorate both halves of the egg as you wish using paper and glue or markers. 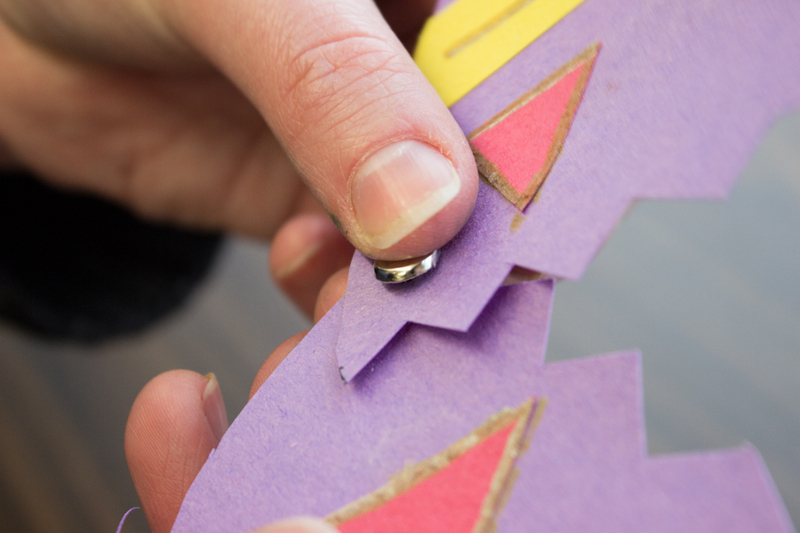 Step 4: Push the brad through the lower left corner of the the top half of the egg. 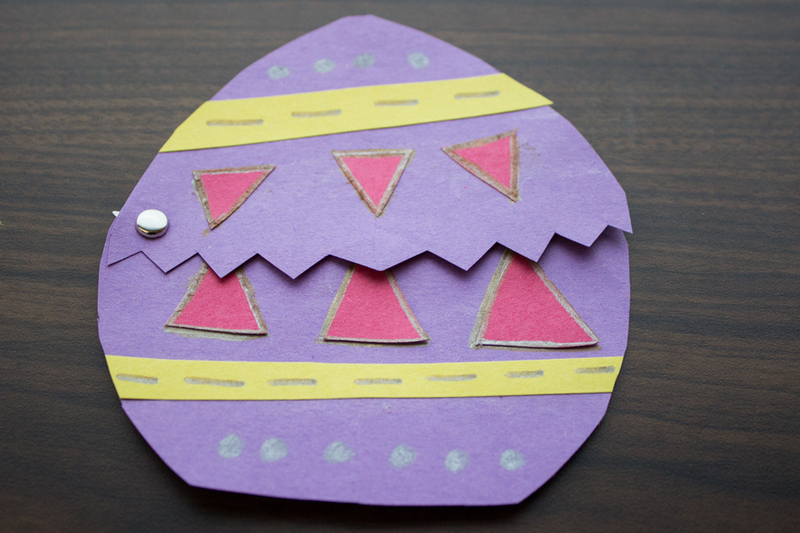 Then push it through the top left corner of the lower half of the egg. 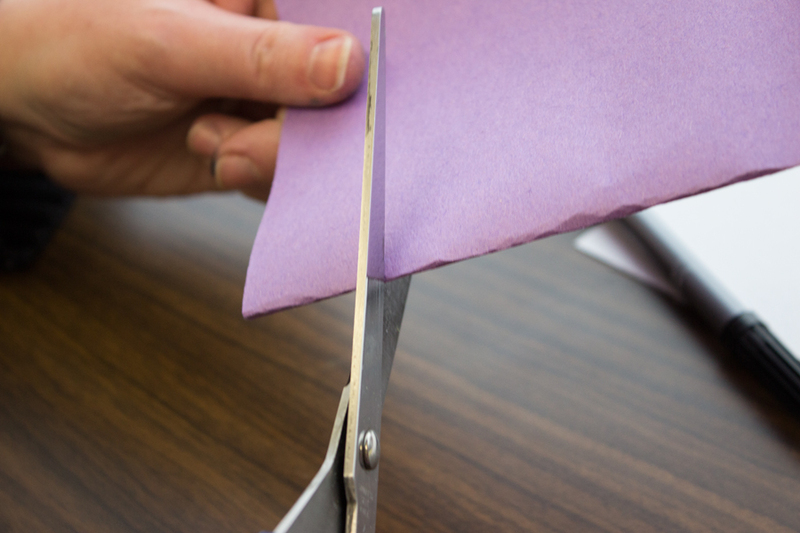 Step 5: Once the brad is through both pieces of paper, open up its ends and press them flat to secure the brad in place. 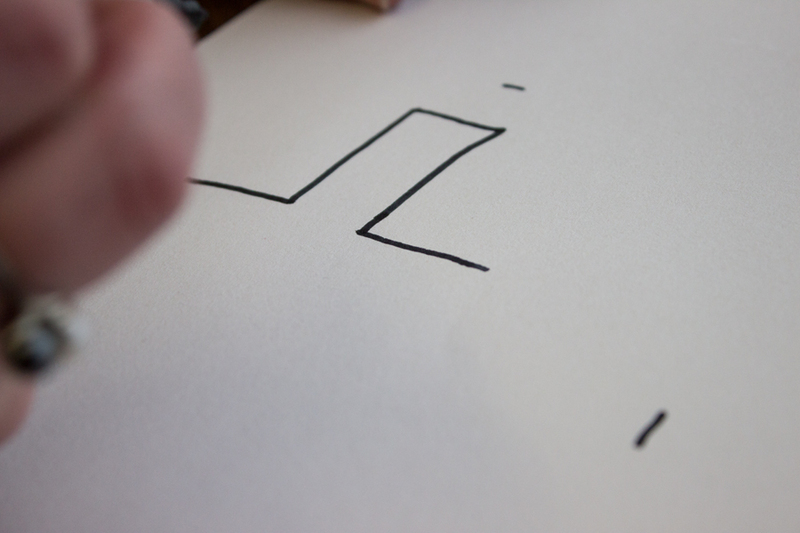 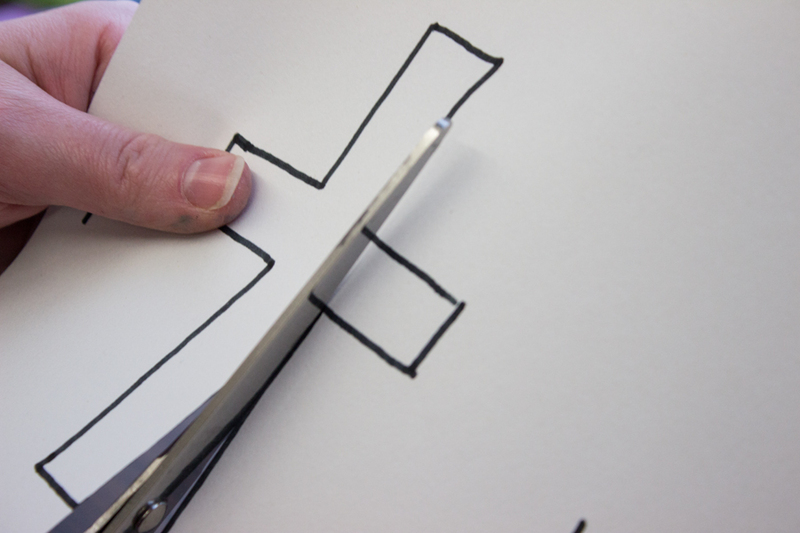 Step 6: Cut out the cross template or (or custom cut the shape of a cross on construction paper).